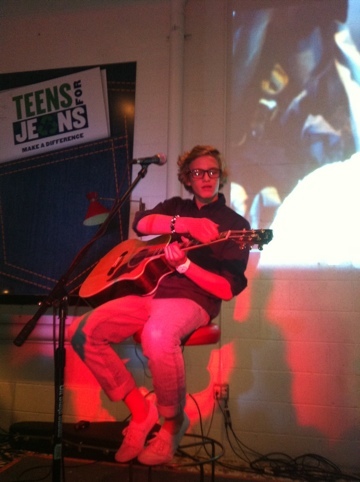 On January 10, Cody Simpson performed at the DoSomething.org and Aeropostale launch the fifth-annual ‘Teens for Jeans’ campaign on Tuesday, along with a ton of celebrities. Cody Simpson, Booboo Stewart, Josie Loren, Kirsten Bell, Sasha Pieterse, Brendan Robinson and more also attended the star-studded event at Palifest in West Hollywood, Calif., collecting jeans for a local L.A. homeless shelter. The stars also included letters, photos and videos with words of encouragement. 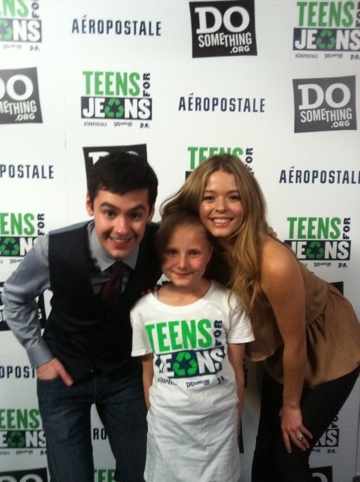 Guests were encouraged to pack donated jeans, write letters to teens and record words of encouragement. Snacks and refreshments were served and guests received specially designed T-Shirts. 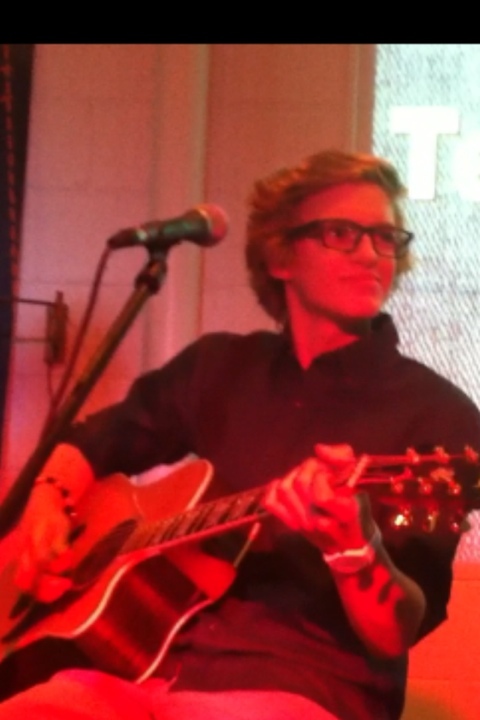 Cody sang 2 songs to the small crowd. He sang Angel then Ay yi yi. Then the crowd sang Happy Birthday to him since his birthday was the next day. 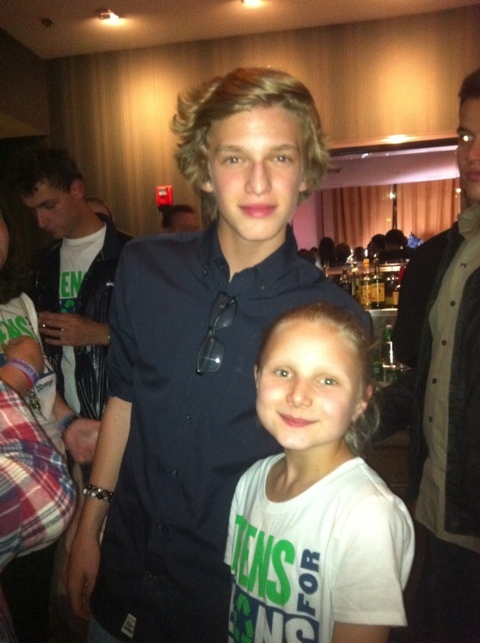 Cody’s parents Brad and Angie, sister, Alli, brother, Tom and friend, Jake were there as well. It was fun seeing Cody in a relaxed environment and I think it’s cool that this busy super star donated his time to help homeless teens at this worthy charity! Teens are encouraged to donate jeans to donate to homeless youth. Top schools can win prizes. Want to get involved? From Now until February 12, you can make a denim donation to any Aeropostale or P.S. from Aeropostale store. As a thank you, Aeropostale will give you an additional 25% off a new pair of jeans in return. 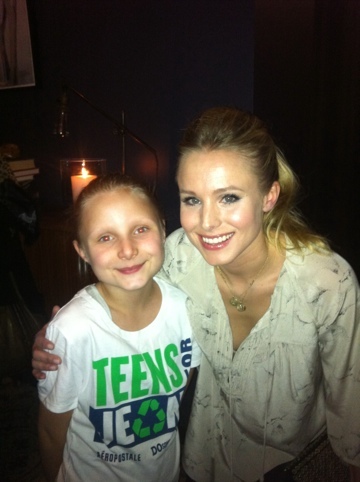 Here are some pics from this special night! Garden Grove Strawberry Festival, a set on Flickr. On May 29, 2011 we woke up really early and headed down to Garden Grove for their annual Strawberry Festival. We had a VIP breakfast, met celebs,watched the parade, and found some delicious strawberries!! Garden Grove is a sweet little town!